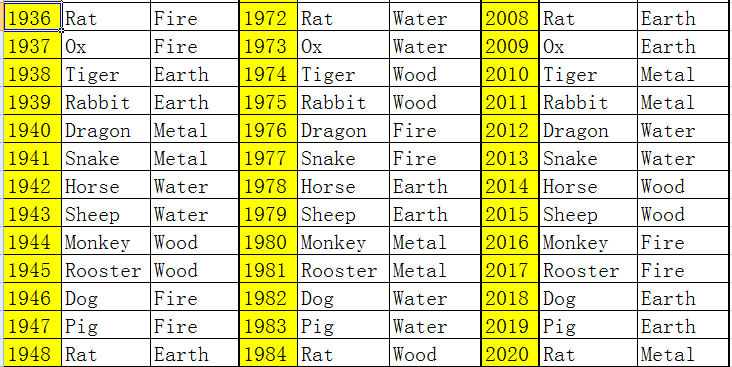 We can find out our element per chiese zodiac and born year. 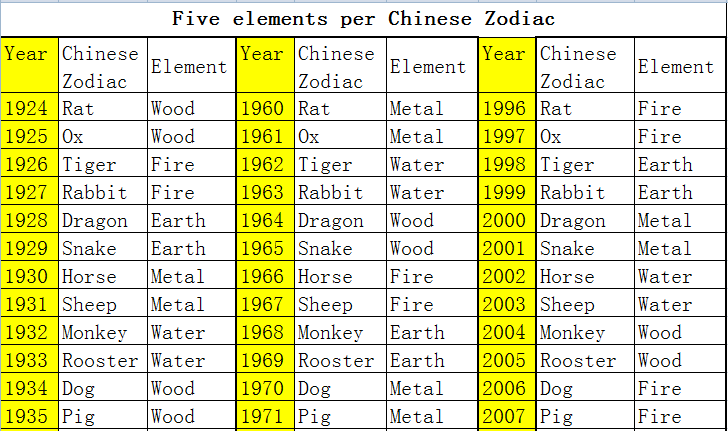 Once you now your chinese zodiac and born year you can look up below table to find your element of five elements. All the calendar date is Western calender.